We’re pleased to announce plans to record and release a full album of Edie Hill‘s choral works through PARMA Recordings with critically-acclaimed chamber choir The Crossing. 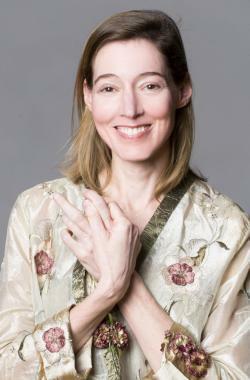 Edie Hill is a three-time McKnight Artist Fellow, a two-time Bush Artist Fellow, and has received grants and awards from the Jerome Foundation, the Minnesota State Arts Board, Meet The Composer, ASCAP and Chamber Music America. She currently serves as Composer in Residence at St. Paul’s The Schubert Club. Although Edie’s music has been part of a number of recordings in the past, this will be the debut album of her music alone. New Project: Apollo Chamber Players’ "Blurred Boundaries"